Summer is traditionally a time of tragedy for the Jewish people, a season when “the hands of Esau are strengthened” and able to victimize many of God’s chosen people. Jewish sources tell us of many terrible events that happened during the period known as the Three Weeks, which go from the 17th day of Tamuz to the 9th of Av (this year from June 29th to July 20th). These 3 weeks are observed as a period of semi-mourning and culminate with 9 Av (Tisha b’Av), which is observed as a total 24 hour fast day. Tradition teaches that on this day the Israelites rebelled against God ands refused to enter the promised land, both the First and Second Temples were destroyed, and 2 tragic endings to the Bar Kochba Revolt of the Jewish people against the Romans occurred. 9 Av in 1190 saw the massacre of the entire Jewish community of York, England. Additionally, one of the most awful events that happened on this day was when King Ferdinand and Queen Isabella expelled all the Jews from Spain in 1492. More than 200,000 Jews were expelled from the land of their birth and scattered all over the world as refugees without property or civil rights of any kind. Many of them subsequently perished from hunger, exposure, and persecution, while those who remained were forced to convert to Christianity and live in terror of the Inquisition. World War I also began on this day in 1914, and on the 9 of Av in 1942, the Nazis began the mass deportation of the Jews in the Warsaw Ghetto to the death camps. Creative modern minds have found many more tragedies associated with this day, but this is a long enough list to give anyone an idea of the horror and sadness of this day in Jewish history. 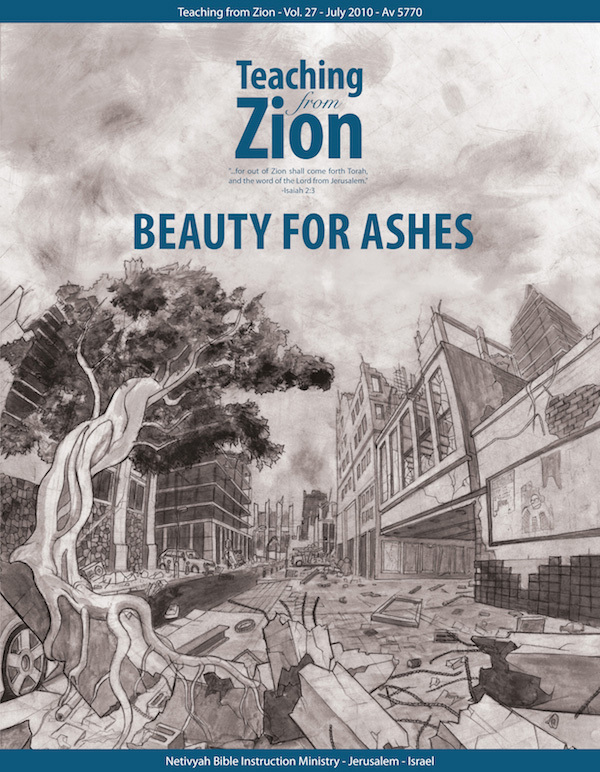 Although we are choosing to address many of these 9 Av tragedies in this Teaching from Zion, we also desire to look at the opposite side of the coin, which is the Restoration and Redemption that inevitably follows our devastation. God never abandons his people forever and, in fact, even uses the darkness we experience to refine us and make us ready for the morning of redemption that follows the night of tears. Just as the miraculously reborn State of Israel arose out of the ashes of the Holocaust and as happened instead in the book of Esther, “On the very day when the enemies of the Jews hoped to gain the mastery over them, everything was turned upside down; the Jews gained mastery over those who hated them,” (Esther 9:1), God will take our mourning and change it into everlasting joy. Restoration can sometimes happen in an instant but more often takes many years of struggle and hard work to plant the necessary seeds before anyone sees the fruit. This work is not just physical but also spiritual, as we strive to mend ourselves and make ourselves ready for Redemption. In a famous quote attributed to Rav Kook, the first Chief Rabbi of Israel, we learn, “Just as the Temple was destroyed through baseless hatred, it will only be rebuilt through baseless love.” One of the primary goals of Netivyah is to help bring the Restoration of Israel as we demonstrate the love of Yeshua to our people and prepare their hearts for Him as the Messianic drama continues to unfold. This very year has witnessed a modern-day example of the sudden swelling of Restoration. When the Jordanians captured the Jewish Quarter of the Old City in 1948, they expelled all the Jews and razed the ancient Hurva Synagogue to the ground, leaving only a lone arch standing. Even after Israel recaptured the Old City in 1967, this arch stood alone in the sky of the Jewish Quarter as a silent testimony to the destruction and hatred of our enemies. For years it remained so, until suddenly last year, reconstruction began, and a building sprang out of the ground in seemingly no time at all. This spring this ancient synagogue was completely restored and reopened as a powerful symbol of Jewish rebirth in the land promised to our fathers through the gift and grace of God. Its white dome soars into the air sending a message of hope for our soon Restoration.